The Los Angeles Angels of Anaheim have announced the new coaching staff for the Orem Owlz summer rookie league. 2013 Manger, Bill Richardson, will not be returning after he accepted the position with the Burlington Bees. 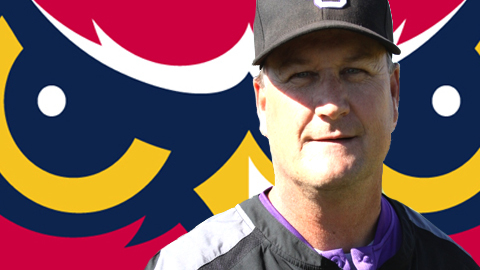 The Owlz will now be under the direction of Dave Stapleton. Stapleton began his career as a minor leaguer pitcher with the Milwaukee Brewers in 1984. His coaching experience dates back to 2001 where he was hired to be the head baseball coach of his alma mater, Grand Canyon University in Arizona. Pitching Coach, Chris Gissell and Athletic Trainer, Matt Morrell return for their second season. Hector Astacio, a veteran Angel who spent time in Provo, has also been named the Pitching Coach and will join Gissell. Ryan Barba and Paul McAnulty will be new additions to the staff as they begin the 2014 season as the Owlz Hitting Coaches. The 10th Anniversary of Owlz Baseball will begin in Idaho on June 16, 2014. The Owlz home opener is scheduled for Friday, June 20. Season tickets and group voucher packs are now on sale by calling (801) 377-2255. For more information please visit www.oremowlz.com.